Welcome home to 4410 Wisteria Landing Circle #107 in Wisteria Landing! This spacious, one bedroom, one bath condo is complete with an ample, well-equipped kitchen and laundry room and features a large, open living room. This home also has a finished storage closet that gives you plenty of room for your belongings or possibly even a small oﬃce or playroom! This condo is IDEALLY SITUATED IN THE COURTYARD with a view of the swimming pool and clubhouse. 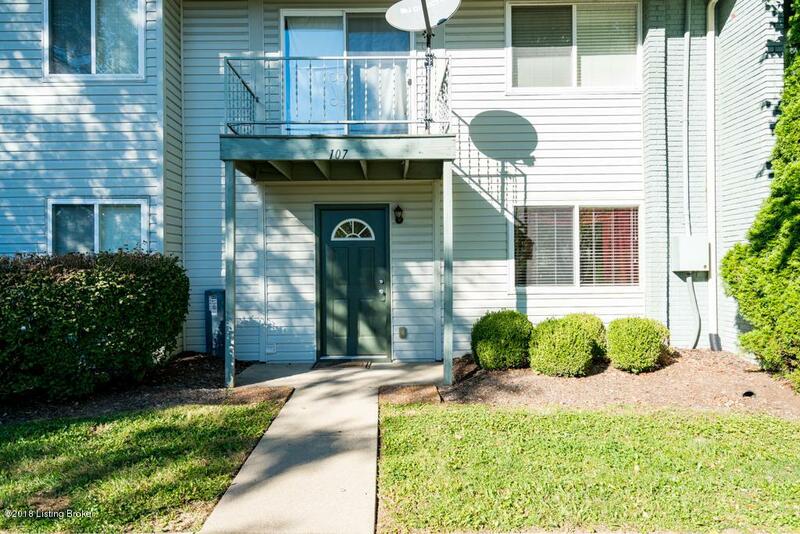 MANY VALUABLE UPDATES & UPGRADES including: new bathroom tile, vanity & fixtures (all in 2016), along with crown molding, upgraded ceiling fans and a PRIVATE ENTRANCE! Conveniently located in Hikes Point, this home is close to shopping and restaurants as well as several major thoroughfares - making your commute easy and worry free! Callto see 4410 Wisteria Landing #107 before it's too late!